I was anxiously tapping my fingers on the steering wheel… My wife waved to her mother who was looking out the front window alongside our son and dog. Often the challenges of everyday life make it hard to configure moments alone with your spouse. It had been a while since we had an evening to ourselves and we were giddy like two high school kids. Glancing at the side view mirror, I was cautioned not to make our eagerness too evident. Just then my foot floored the accelerator and we squealed away leaving behind a gust of dust that signified our escape. As we got outside the city, I placed Robert Cray’s latest release This Time in the CD player. Both my wife and I always enjoyed Cray’s music and have seen him in concert several times. Glancing through the album last week, I knew we were both in for a treat… The overcast sky and the off again on again rain didn’t play a negative factor. As we continued to breeze down the soggy road, Cray’s new album would act as the soundtrack to our getaway. It set the tone beautifully. The opening track “Chicken in the Kitchen” gets things off to a great start with a funky blues groove. Things slow down a bit with the ballad I Can’t Fail before kicking it up with the soulful Love 2009. Yes, his first release in five years was sounding great, and the smooth energetic feel continued on songs like That’s What Keeps Me Rockin.’ (easily my favorite tune on this new record.) I always knew Cray had a great voice, but it really shines this time around. I was getting hooked as Cray’s guitar playing along with Jim Pugh’s keyboards generated some really dazzling exchanges. Some of the more poignant songs like To Be True, the title track This Time and the closer Truce help give a nice balance that covers not only blues, but blends soul, R&B and other music genres with cool vibrant ease. was born Aug 1, 1953 in Columbus Georgia, and started playing guitar in his teens. He was inspired to form his own band after seeing performances of some of his idols like Albert Collins, Freddie King and Muddy Waters. While growing up Cray also discovered his father’s record collection, further fueling his love for blues and several other music genres. Teaming up with friend and bassist Richard Cousins, they began playing college towns on the West Coast. This would eventually lead to an invite by Albert Collins to perform as his backing unit. Since then Cray has released 17 award winning multi-platinum albums, received 13 Grammy nominations and performed thousands of sold-out shows worldwide. He even had an unaccredited role as a bassist in a scene from National Lampoons Animal House in 1978. Recently reuniting with Cousins for the first time since his departure in 1991, Cray seems to have come full circle through a road filled with many amazing accomplishments. 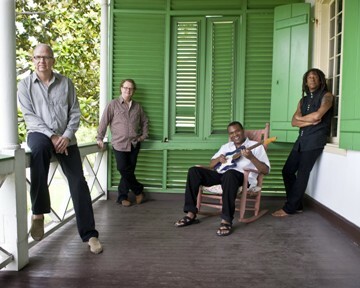 The reunion of Cousins and Pugh with the addition of veteran drummer Tony Braunagel, whose past experience with Bonnie Raitt, Taj Mahal, Keb’ Mo’ and B.B. King solidified the current band and helped create some tasty new material. Cray, who also produced This Time for his imprint label Nozzle Records and distributed by Vanguard Records, has managed to capture some wonderful moments on this recording. I highly recommend getting a copy, it may very well make your day that much brighter. as we approached our destination, it barely felt like 60 minutes. We unpacked and immediately took in the seclusion away from the lights and sometimes aggravating sounds of summer in the city. We hiked, relaxed and then did some cookin of our own… In the evening we sat beside the fire and unwound… Yes, it’s wonderful to get a moment alone with the one you love. It’s important because every time my wife and I manage such rare occasions together, it reminds us of how much we truly dig each other. The night’s sky was clearing and after several peaceful drinks, my wife went to the car, opened the hatch and put on one last Robert Cray song as an encore for the night. At a comfortable volume she cued up That’s What Keeps Me Rockin’… Under the stars, we danced blissfully and embraced as the fire burned brightly into the twilight evening’s air. So there you have it. Now you know what I was up to this past weekend… How about you? Any moments that sparked your attention? 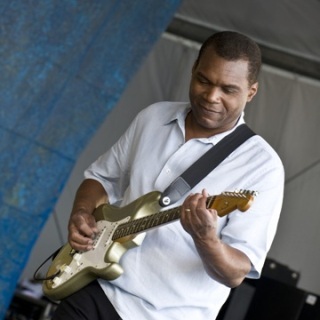 Have you had the opportunity to listen to Robert Cray’s latest album This Time? Any moments in Cray’s illustrious musical career that strikes a chord with you? As usual your comments are always welcome. Below are some upcoming tour dates dates. Get out there if you have the opportunity. Cray and his band are great to witness live and the latest tour is getting fantastic reviews… For more information you can go to Robert Cray’s homepage by clicking here. I loved the article — hope your well-deserved time away was everything it was supposed to be. oh yessss.. i ‘ve always enjoyed his voice and sound. I have never been to a Cray concert but I could say that the first time I learned of his existence, when he was a guest of Tina’s on a live broadcast. Great! My favorite album now is Live from Across the Pond because the sound is rougher and sometimes distorted, I have heard almost every one of his albums I do not know how many times over the last twenty years or so. Now I would just love to see him live because in my fan’s heart I know I will love the real thing. One of the great masters of blues guitar.Never saw him live though so I couldn’t say whether his live performances stunk or not. I’ve seen him live and it was the best show I’ve ever seen! I enjoyed hearing Robert’s new jam — I always get a kick out of his lyrics — they rhyme and make sense unlike most of today’s new music — Bobby Cray is a true blues man, seems like some of his work is from life’s tough experiences. Keep up the good work on that guitar too.